Quickly see your next calendar meeting in the menu bar. Is there a better alternative to Next Meeting? Is Next Meeting really the best app in Productivity category? Will Next Meeting work good on macOS 10.13.4? 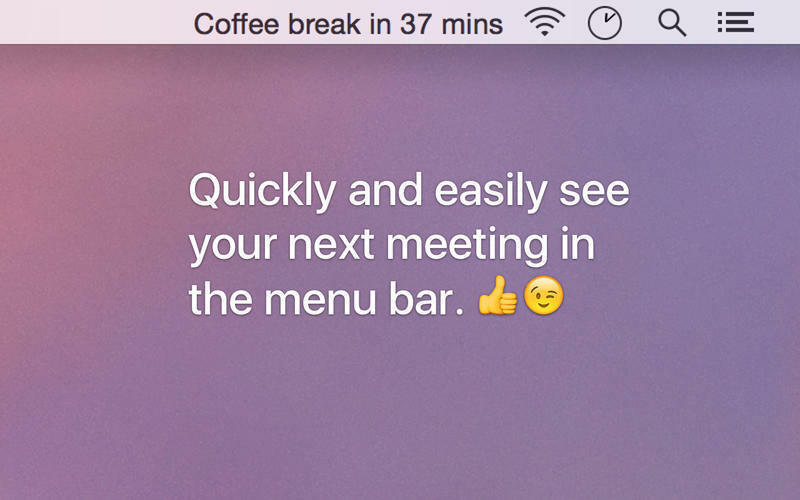 Next Meeting lets you quickly see your next meeting right in your menu bar. The meetings come from the OS X Calendar app - so it works with local calendars, iCloud, Exchange, Google, Facebook, Yahoo, and CalDAV.